An internationally renowned scholar and practitioner in architecture, planning and urban design, Robert G. Shibley is passionately devoted to building institutions, traditions and programs that advance design and planning through knowledge-based place-making. Since joining the UB School of Architecture and Planning in1982, he has served as professor in both the architecture and urban and regional planning departments, with eight years as chairman of the architecture department and appointment as dean in 2011. A senior fellow of the UB Regional Institute since 2005, Shibley assumed the role of interim director after the institute aligned with The Urban Design Project (UDP) under the School of Architecture and Planning in 2011. As founder and director of UDP, Shibley has led the development of nationally award-winning plans for Buffalo’s downtown, waterfront, Olmsted parks system and the city’s comprehensive plan. He has served as the UDP principal investigator on master plans for the Larkin District, Niagara Falls, and Buffalo Niagara Medical Campus. The city-region is his educational and research laboratory, where he combines political leadership and community engagement with interdisciplinary scholarship, planning and design action. 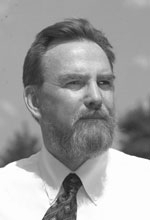 As UB’s Senior Advisor to the President for Campus Planning and Design, and now as its first Campus Architect, Shibley led an ambitious comprehensive plan – the university’s first master plan since creation of the North Campus in the 1970s – to enhance the competitiveness of UB’s three campus centers and as a critical piece of the UB 2020 strategic plan. Shibley has authored, co-authored or edited 11 books, including Placemaking: The Art and Practice of Building Communities and Time Savers Standards for Urban Design, while publishing an additional 12 book chapters and over 100 articles and case histories. In 2010, he received the prestigious “President’s Medal” from the University at Buffalo for his service to the professions, region and UB. He also recently received the James R. Haecker award for distinguished leadership in architectural research from the Architectural Research Centers Consortium. Throughout his career, Shibley has consulted internationally in service of excellence in the professions and design education. He was recently elected to the College of Fellows of the American Institute of Architects and is a federal commissioner on the Erie Canalways National Heritage Corridor Commission. Past professional practice and research roles include those with the U.S. Department of Energy and U.S. Army Corps of Engineers. Shibley holds a Master of Architecture in Urban Design from The Catholic University of America and a bachelor of architecture as well as a bachelor of science in psychology from the University of Oregon.